Is This the Year for Your Most Effective Marketing Budget Ever or Will it be Same Old/Same Old? Many professional services firms' CEOs and Managing Partners are starting to think about their 2013 marketing budget, and how they’re going to be spending (on average) 2 to 5% of their top line on bringing their marketing strategies to life. Typically, the marketing budgeting process in CPA, consulting and law firms is based on thinking about expense and spending, rather than investing and ROI. Combine this with a legacy of spending on sacred cows and partner earmarks that contribute little or nothing to top line goals, and you get a vicious cycle of under spending, minimal results, lowered expectations, cuts to the budget … and partners shaking their heads and saying, "Marketing doesn't work." But maybe 2013 is the year for breaking that cycle and taking a look at marketing (and how to spend the marketing budget) from a fresh perspective. Outside of the 1:1 and referral marketing that are the standard (and still usually most effective) ways that professional services firms get new clients, the other marketing strategies and tactics that may have worked in the past just aren’t going to work in the future. Here’s why: there’s a dramatic transformation occurring to the way that prospects search and acquire information … they don’t want to be sold, they want to discover. It’s no longer about using the marketing budget to push your message out; it’s about using the marketing budget to get found first by people searching for information, and after getting found, having the approaches and tools in place to convert them into a lead. it may be time to stop thinking about marketing as an expense and start thinking about it as an investment. That’s the way that a lot of your successful clients think, and their 2013 marketing budget may contain lessons about budget allocation best practices that can apply to your firm. What are some of the ways your firm is considering investing its marketing budget in 2013? 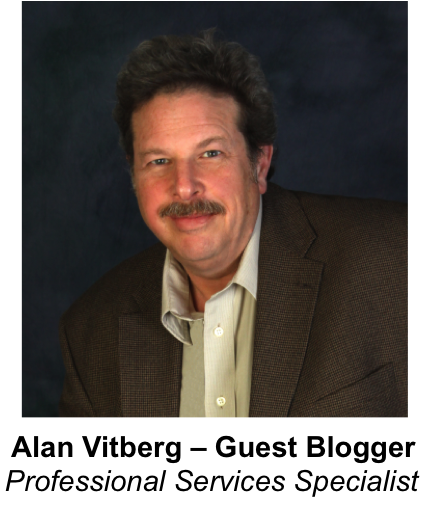 Our guest blogger Alan Vitberg is owner of VitbergLLC, a marketing agency for professional services firms, specializing in inbound marketing, content marketing, lead generation and HubSpot. He can be reached at 585.425.2552, or connect with him here.